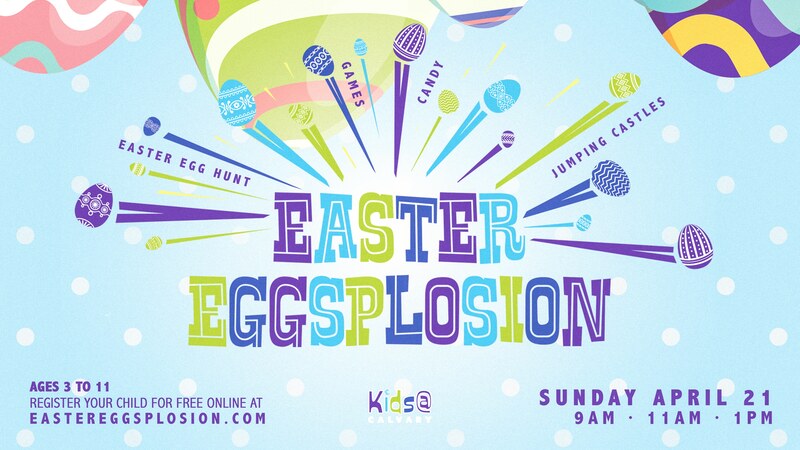 Join over 600 kids for the annual Easter Eggsplosion! Registration is now closed. Don’t worry, you can still register in person at the event.